Paysanne offers creamy caramels, homemade popsicles, and tasty cookies. Grab one (or all three) and head to the deck out back. That was then: Logging, apple orchards, and sheep. This is now: A crop of next-generation Anderson Valley kids is moving back home to open businesses here. 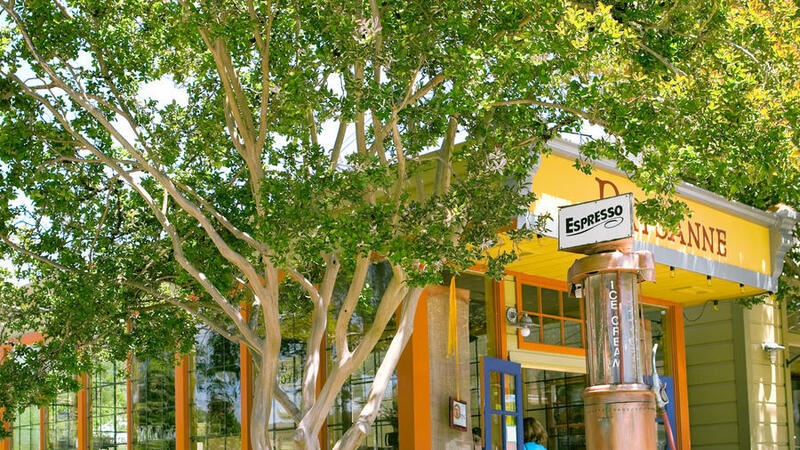 Hang with the locals: Over sandwiches at Mosswood Market, at the General Store’s frequent pizza Fridays, and at the Saturday morning farmers’ market. What to drink: Coastal weather blows up the valley, making this major sparkling and Pinot country. The biggest party of the year: The county fair, with a rodeo, sheepdog herding trials, and a parade through town (Sep 16–18; $7; mendocountyfair.com). Still can’t unwind? Book a massage at Nahara Healing Arts, just off the main drag (707/272-1289). Coming attractions: By next year, you should be able to visit a cidery to taste bright, pink Bite Hard cider, and also Pennyroyal Farms, whose goat’s- and sheep’s-milk cheeses can be sampled at nearby Navarro Vineyards (navarrowine.com). Find your sweet spot: Melinda Ellis opened Paysanne last year and got right to work making caramels, popsicles, and cookies—she hopes to start churning her own ice cream soon too. Till then, she scoops Three Twins and occasionally her own sorbets. Grab a chair on the sidewalk for a front-row seat to the town’s comings and goings, or circle around to the big sunny deck out back. 14111 State 128. Browse the wares made by local artists at Farmhouse Mercantile, the town’s former general store. Pick up a prezzie: What was once the town’s general store still looks much as it did back in the lumber days, but it’s been redubbed Farmhouse Mercantile. Now, its shelves are stocked with gorgeous bits of decor, kitchen tools, linens, ironwork, and everything else you’d fill your dream country house with. Much of it’s made by the many artists who live in the nearby hills. 14111 State 128; 707/895-3996. Enjoy oysters and wine on that patio at Boonville Hotel. TGI Sunday: Some feel the Monday blues by Sunday afternoon, but at the Boonville Hotel, it’s party time. By 4:30, small plates are trotted out of the kitchen, Tomales Bay oysters are being shucked at the outdoor bar, and wine and cider are flowing freely on the patio. $$; 14050 State 128; 707/895-2210. Local beer and pub grub will please everyone at Buckhorn Boonville. It’s beer country too: Scratch your pub-grub itch at the Buckhorn Boonville, which opened this year in what used to be the Anderson Valley Brewing Company before it moved to a much bigger place just east of town. Show local loyalty by ordering a Boont Amber, on tap. $$; 14081 State 128; 707/895-3224.